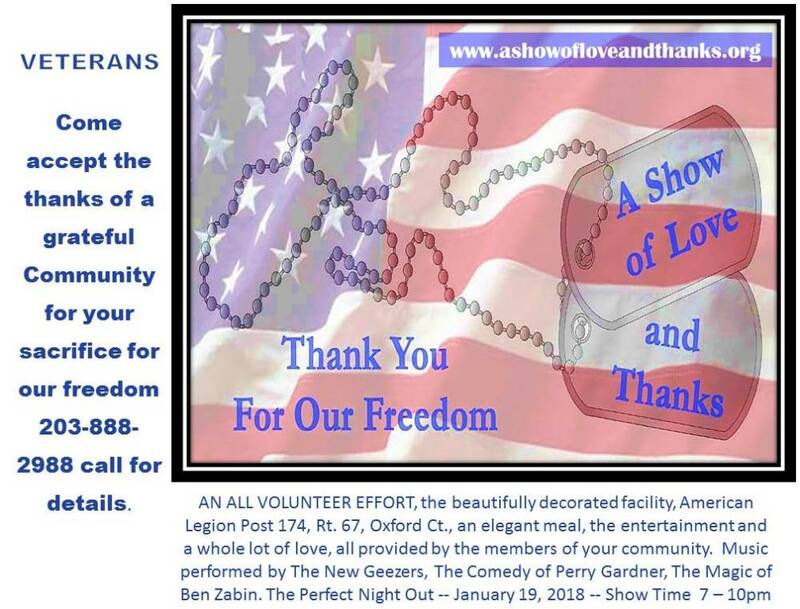 January 19, 2018 Oxford, they certainly know how to treat Their Veterans. We are joined by longtime friend COLE CHRISTIE on Sax, for this one. THANK YOU, We'll see you there.